For my first real post, I thought it would be a good idea to give a quick background to the special horses I’ve had in my life over the years. I got my first pony, Muffin, when I was 11 years old. 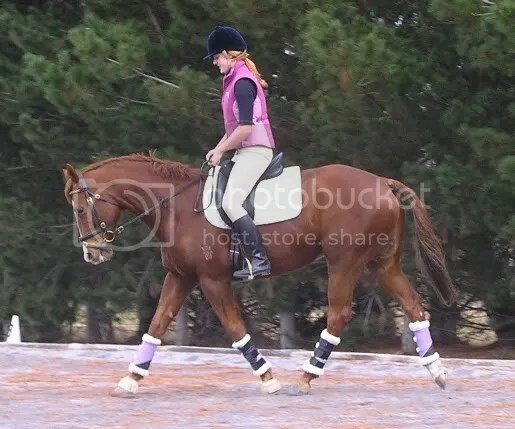 He was a 13.2h Australian Saddle Pony, and the very best pony a girl could hope to learn to ride on. After about two years, when I could no longer deny that I had outgrown him, I moved onto Shem, a 14.3h arab gelding. Shem was one of those wonderful jack-of-all-trades types, who could win one day in the show ring and the next at an ODE, or spend hours trail riding with nothing but a string around his neck. An old, old photo. Dear Shem on the left, and Muffin on the right. My next horse was Solo, a 16hh 5yo OTTB. He was my first green horse, and taught me so much (mostly what not to do!). He was a very willing and forgiving horse though, and we had a lot of fun doing a bit of pony club, showing and eventing, until he was sold on to a lovely new home a couple of years later. Solo – my favourite redhead! Next in line was Dex, a 16.2hh OTTB who had a very successful career on the track, and was a little more of a typical TB than Solo was. He was an exceptionally talented horse, with beautiful movement and a freakish jump. He was bought by a professional rider who spotted that talent and took him quickly up the levels where he became a successful 2* horse. He is now based with a young rider in WA. Dex – his very first time XC schooling. And last but certainly not least, is Freddy, a 16.1h TB. Fred had competed successfully up to Pre-Novice with a professional rider, and I was lucky enough to have 5 fun-filled years with him. 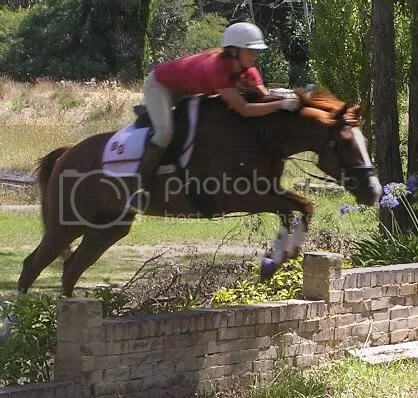 He had a mind of his own and liked to spend quite a bit of time playing on his back legs, but we still had a lot of success in eventing, dressage, SJ and a bit of showing on the side. Unforunately I lost Freddy in a traffic accident at Christmas time, 2012, and he has so far been irreplaceable. He was a very special boy and took up a huge part of my heart. Life has been quite dull without his cheeky antics keeping me busy!